Scríobh focal amháin nó breis agus gheobhaidh tú liosta alt a dtagann na focail sin chun cinn iontu. Ag 10 Sráid an Teampaill, in aice leis an bPort Thuaidh, Baile Átha Cliath, a rugadh é 16 Meán Fómhair 1888. Ba é an seachtú leanbh é a saolaíodh do Arthur O’Brien, cléireach, agus Mary Christie. B’as Co. na Mí dá mháthair agus bhí ceathrar de na páistí sa teach oíche an Daonáirimh 1901. Ní deirtear faoi eolas na clainne ar an nGaeilge ach gur ag Liam amháin a bhí sí. 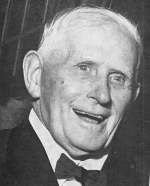 ‘Rugadh mé fein nuair a bhí an Brianach úd [William O’Brien, MP] i bpríosún, agus cuireadh a ainm baiste orm, fé mar a cuireadh ar gach Brianach óg a rugadh in Éirinn agus i Meiriceá an tráth céanna’ (Comhar, Márta 1944). Ag na Bráithre Críostaí i Scoil Uí Chonaill a bhí sé ar scoil. Thuigfeá ón aiste a bhí i gcló aige in Comhar, Nollaig 1963, gur as leabhair bheaga Uí Ghramhna a d’fhoghlaim sé Gaeilge ann agus nach é an oiread sin den teanga a bhí ag an máistir. Thaithíodh sé Craobh Lorcáin Uí Thuathail den Chonradh go dtí gur mhol an máistir dá thuismitheoirí gurbh fhearr é a choimeád i mbun na gceachtanna baile san oíche. Thuig Martin B. Margulies uaidh go ndearna sé a chéad chomhrá riamh i nGaeilge nuair a tháinig Sean O’Casey agus Peter Nolan chun an dorais aige ag iarraidh air ceangailt leis an gcraobh logánta den Chonradh (The Early life of Sean O’Casey, 1970). In 1903 chuaigh sé a rothaíocht síos go Maigh Nuad tráth a bhí corp Eoghain Uí Ghramhna á aistriú ann. Bhain sé BA (Ollscoil Ríoga na hÉireann) le céad onóracha sa Ghaeilge, sa Bhéarla agus san Fhraincis 1909 tar éis bheith ag freastal ar Choláiste Ollscoile Bhaile Átha Cliath, agus céim mhaistir an bhliain dár gcionn. Bhí sé ar dhuine de bhunaitheoirí an Chumainn Ghaelaigh sa Choláiste i ndeireadh an Mhárta 1908 agus ina bhall den chéad choiste. Chaith sé téarma i gcoláiste Thuar Mhic Éadaigh i samhradh 1909 agus lena linn chuaigh a rothaíocht in éineacht le hÉamonn de Valera, Pádraic Ó Domhnalláin agus Seán Ó Ruadháin go dtí an Spidéal nuair a bhí léacht in onóir Mhichíl Breathnach á nochtadh. Chaith sé tamall de 1910 ag foghlaim i Scoil Ard-Léinn na Gaeilge. Bhí post aige mar chúntóir i Roinn na Fraincise sa tsean-Choláiste Ollscoile agus in 1911 bhí sé ar an gcéad mhac léinn a fuair scoláireacht taistil ó Ollscoil na hÉireann chun staidéar a dhéanamh i mBeirlín, Bonn agus Freiburg ar theanga agus ar litríocht na Gaeilge. Chaith sé tamall i bPáras freisin. ‘Nuair a bhris amach an cogadh i mbliain a 1914 ... bhíos ar mo bhealach abhaile ón nGearmáin. Trí bliana a bhí caite agam ar an mórthír – an chuid ba mhó den am sa nGearmáin ag déanamh léinn agus staidéir’ (Cuimhní cinn cuid I: cuimhní an Éirí Amach, 1951). A luaithe a d’fhill sé abhaile is ea a chinn sé ar liostáil sna hÓglaigh, i gComplacht B den Chéad Chath ar dtús, agus ansin i gComplacht F mar a raibh cuid mhaith de bhaill Chraobh an Chéitinnigh. Ba é Liam a scríobh an príomhalt in An Claidheamh Soluis 22 Lúnasa 1914. Dúirt sé go raibh caint fhrith-Ghearmáineach ar siúl fiú ag Gaeilgeoirí Chonradh na Gaeilge i dtaobh ‘The mad Mullah of Europe’ a bhí lán chomh dona lena raibh cloiste aige i Sasana ar a bhealach abhaile. Ceapadh é ina chúntóir i Roinn na Fraincise sa Choláiste Ollscoile, Baile Átha Cliath, Deireadh Fómhair 1914. I dteach phríomhchúntóir na Roinne, Máire Cháit Ní Riain, a chastaí Seán Mac Diarmada, Seán T. Ó Ceallaigh agus Donnchadh Mac Colla air. Seán T. a thug móid Bhráithreachas na Poblachta dó 1915 agus an bhliain chéanna sin toghadh ina bhall de Choiste Gnó Chonradh na Gaeilge é. Tá cuntas aige i dtaobh Ard-Fheis 1915 in Comhar, Meitheamh 1964. Bhí sé cheana féin ar Choiste an Oireachtais. Oíche Shatharn na Cásca 1916 d’iarr Art Ó Gríofa air dul go dtí teach an Dr Séamus Ó Ceallaigh i Ráth Garbh agus dúradh leis ansiúd na horduithe cealaithe a thabhairt go hÉadan Doire, Bealach an Tirialaigh agus an Tulach Mhór. Tá cuntas aige ar an gcruinniú i dteach an Cheallaigh in Cuimhní cinn agus in The Easter Rising 1916 and University College Dublin (1966) in eagar ag F.X. Martin. Ní raibh a fhios aige maidin Luan Cásca go raibh an tÉirí Amach le tarlú. Ach ba é an cuntas ar a bhfaca sé timpeall ar Phortobello a thug ar Eoin Mac Néill a chreidiúint go raibh sé ar siúl. Rinne Liam a bhealach ansin isteach go dtí Ardán Phort an Iarla mar ar casadh Anraí Mac Niocaill [feic faoi Sheoirse Mac Niocaill] air agus chuaigh siad beirt thar na ráillí isteach i bhFaiche Stiabhna chun cabhrú le hArm na Saoránach faoi cheannas an Cheannphoirt Michael Mallin. I ndiaidh an Éirí Amach chaith sé dhá mhí i bpríosún Wandsworth agus bhí ar dhuine den chúigear a bhí ag múineadh rang Gaeilge ann, agus sé mhí i gcampa Frongoch. Bhí sé ar ais i mBaile Átha Cliath faoi Nollaig 1916. Bhí a phost caillte aige agus é lionta anois ag fear de lucht an Éirí Amach ar éirigh leis príosúnacht a sheachaint, Micheál Ó hAodha. Thug Liam cabhair do Shinn Féin i bhfeachtas toghchánaíochta oirthear an Chláir agus an bhliain chéanna sin (1917) ceapadh é ina Ollamh le Teangacha Rómánsacha i gColáiste Ollscoile na Gaillimhe, post ar chaith sé dhá bhliain agus daichead ann. Sheas sé le Seán T. Ó Ceallaigh nuair a phós seisean Máire Cháit Ní Riain Luan Cásca 1918. Bhí sé ina iarrthóir ag Sinn Féin in Ard Mhacha Láir in olltoghchán 1918. D’éirigh leis timpeall sé mhíle vóta a fháil le hais an ocht míle a fuair an tAontachtóir. Chaith sé téarma i bpríosún Bhéal Feirste tuairim an ama seo toisc é a bheith ag eagrú na hIasachta Náisiúnta in Ard Mhacha. I bhFeabhra 1920 ceapadh é ina bhreitheamh sna cúirteanna poblachtacha i gContae na Gaillimhe. Chuaigh sé ar saoire chun na Fraince an samhradh sin agus, ar iarratas Mhichíl Uí Choileáin, chun na hIodáile freisin, chun a shocrú le Donncha Hales i Genoa go rachadh seisean chun cinn le lasta mór gunnaí a cheannach. Faoi Shamhain bhí sé i ngéibheann arís, i seanphríosún na Gaillimhe, ansin i gcampa a bhí bunaithe i Halla na Cathrach, agus ansin ar Churrach Chill Dara (Comhar, Samhain 1943–Meitheamh 1944). Bhí sé ar thaobh an Chonartha Angla-Éireannaigh. Thug sé iarracht ar dhul isteach i Seanad Éireann 1925 ach theip air. Sa toghchán le haghaidh uachtaránacht Choláiste Ollscoile na Gaillimhe is idir é féin agus Pádraig de Brún a bhí an choimhlint nuair a tharraing ollúna eile as an rás, agus is ag an mBrúnach a bhí an lá. San iontráil in Who’s who, what’s what and where in Ireland (1973) scríobh sé gurbh i móraidhm a shaoil go bhfeicfeadh sé an teanga Ghaeilge athbheoite. Is cinnte go ndearna sé cion deichniúir ag iarraidh an aidhm sin a thabhairt i gcrích. Bhí spéis ar leith aige sa drámaíocht agus b’fhéidir gur mhó a rinne sé ná aon duine eile chun Taibhdhearc na Gaillimhe a thabhairt ar an saol 27 Lúnasa 1928. Go ceann i bhfad bhí dlúthbhaint aige leis mar rúnaí, stiúrthóir, iontaobhaí, scríbhneoir agus mar aisteoir. Seo é an cur síos a rinne Micheál Mac Liammóir air agus é ag scríobh in Comhar, Márta 1943, ar an gcaoi ar bunaíodh an Taibhdhearc. Bhí Liam tagtha chun cainte leis ina taobh. ‘Níor casadh liom é ach aon uair amháin eile nuair a bhí mise im’ stócach i mBaile Átha Cliath, ach chuimhnigh mé ar a phearsantacht gharbh ghliondarach ghroí, ar a chuid gruaige álainn ar dhath an airgid, ar an scairt gháire tobann tormánach a ligeadh sé as ó am go ham, agus ar na súile aisteacha úd aige, leathbhrónach leathfhíochmhar, súile a bhíodh de shíor ag faire ar rud éigin ach a bhí san am céanna lán de bhrionglóidí, mar bheadh súile cime ann’. I bportráid a d’fhoilsigh an Irish Times in 1955 (sliocht i gcló in eagrán 12 Lúnasa 1974) dúradh nach aon duine amháin a bhí ann ach coiste: ‘Perhaps the man’s appearance helps to create the illusion. The close-set eyes, grave and mischievous almost simultaneously, darken in concern as readily as they welcome repartee. The short delighted laugh breaks always unexpectedly. But his most distinctive feature is his hair, silvery-white and cut with an odd angularity .... There is perhaps no other man in the country whose presence is required at so many meetings’. Bhí páirt Fhinn Mhic Chumhaill ag Liam i ndráma na chéad oiche sa Taibhdhearc, Diarmuid agus Gráinne. Ach b’fhéidir gurbh i an ócáid aisteoireachta ba mhó ar ghlac sé páirt inti San Siobhán, aistriúchán a rinne Siobhán Nic Cionnaith ar dhráma G.B. Shaw, in Amharclann Gaiety, Baile Átha Cliath, 14 Eanáir 1951. I bpáirt Cauchon, Easpag Beauvais, a bhí sé. D’aistrigh sé cuid mhaith drámaí: Geamaireacht dhroichid an diabhail (1932) (La parade du Pont au Diable, le Henri Gheon); Déirdre an Bhróin (1932) (Deirdre of the sorrows, le Synge); Oidhche mhaith agat, a Mhic Uí Dhomhnaill (1933) (Good night Mr O’Donnell, le Robert Brennan); Beatha Iongantach Bhearnáird (1935) (La merveilleuse histoire du jeune Bernard de Monthon le Henri Ghéon); Na Cruiteacháin (1936) (Farce des bossus le Pierre Jalabert); Arís (1936) (Joyeuse farce des encores le Henri Ghéon); An tAmhránaidhe (1936) (The singer, le Patrick Pearse); Cat na mbróg (1936) (Le chat botte, le Gheon); Grádh cásmhar (1937) (Le depit amoureux, le Molière); Ordóigín (1937) (Le Petit Poucet le Henri Ghéon); Seachain an Dathadóireacht (1938) (Prenez garde a la peinture le Rene Fauchois); Coriolanus (1938) bunaithe ar dhráma Shakespeare; Ar an mBóthar Mór (1943) (Nationale Six, le Jean-Jaques Bernard); An tUbhall Óir (The Golden Apple, leis an mBantiarna Gregory); An chúis in aghaidh Íosa (Processo a Gesù, le Diego Fabbri). Faoin teideal Geograif don Ghaedheal óg (1930–35) d’aistrigh sé téacsleabhar le Elinor Butler. Aistriúchán freisin is ea Beatha iongantach Bhearnaird Óig de Menthon (1935). Nuair a d’éirigh sé as a phost 1959 chuaigh sé chun cónaithe ag 1 Sráid Hoirbeaird, Baile Átha Cliath. D’éag sé ar 12 Lúnasa 1974. I mí Aibreáin na bliana sin bhronn Ollscoil na hÉireann dochtúireacht oinigh air. Toghadh é ina Chevalier de la Legion d’Honneur 1951. Comhráití den scoth a bhí ann agus ‘scéalaí bríomhar greannmhar’, mar a dúirt Criostóir Mac Aonghusa (Scríobh 5, 1981). Níorbh aon ionadh gur roghnaíodh é mar bhall painéil sa chlár teilifíse ‘Late Late Show’ nuair a thosaigh sé 6 Iúil 1962, éacht mór fadsaolaí ag duine a chuaigh ar shochraid Eoghain Uí Ghramhna trí scór bliain roimhe sin. Scríobh Proinsias Mac Aonghusa agus Art Ó Beoláin, beirt a raibh aithne mhaith acu air, portráidí in Feasta, Meán Fómhair 1988, céad bliain i ndiaidh a bhreithe. Cuntas ar bheatha 1,757 duine atá sa suíomh seo, ainm.ie. Is daoine iad uile a raibh baint acu le saol na Gaeilge ó 1560 go dtí ár linn féin. Bunús agus príomhfhoinse an tsuímh an tsraith leabhar Beathaisnéis le Diarmuid Breathnach agus Máire Ní Mhurchú. There are 1,757 biographies on this site. All of the featured lives, from 1560 to the present day, had a connection to the Irish language. The contents of the site are based on the series Beathaisnéis by Diarmuid Breathnach and Máire Ní Mhurchú. The information pages on this website are available in Irish and in English. The biographies, however, are in the Irish language only. There are over 1.3 million words in the original text, therefore it is beyond our resources to provide translation or linguistic support to visitors to the website.